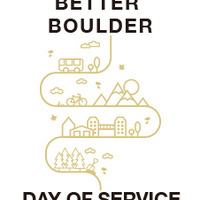 Sign up for Better Boulder Day of Service fall projects now! CU students, faculty and staff are invited to spend the day working with various organizations to complete a service project on campus or in the community Saturday, Nov. 10. Multiple projects to choose from. Food and transportation provided. Deadline: Wednesday, Nov. 7, at 11:59 p.m.